Dr. Henry P. Hambel is a Security & Premises Liability Expert, Board Certified in Security Management and Forensic Examination. Dr. Eric Cole is a computer and cyber security expert with more than 20 years of hands-on experience. Cases relating to patent infringement, invalidity, and damages; SEC litigation; computer networking and computer science; and cybersecurity. Ken Trump provides accessible, timely and quality expert services to plaintiff and defense attorneys on preK-12 school safety and security cases. He is an experienced speaker, teacher, and news commentator on school safety. Setec Investigations offers unparalleled expertise in computer forensics and electronic discovery, providing highly personalized, case-specific forensic analysis and litigation support services to assist in the investigation, handling and prosecution of computer-related crimes or misuse. Shopping center security and retail loss prevention consultant for industry and attorneys. 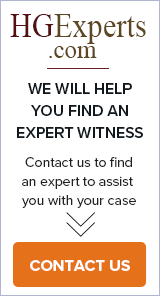 Provide expert witness services on cases regarding inadequate security, hiring and training of security personnel, company policy, CCTV equipment, lighting, foreseeability, negligent security and more. Texas - Serving: All States and jurisdictions. Research scientist. educator and consultant, Dr. Kappelman has served as an expert witness in federal, state and local courts on failed software development and/or implementation projects and high-tech intellectual property disputes concerning patents, copyrights and trade secrets. Forensic & Security Services Inc.